Learning needlepoint can be tough. You make a project but you’re left not knowing how to apply what you’ve learned to a canvas you love, not knowing how stitches relate to each other, and having tons of questions about threads, tools, and how to increase your knowledge. 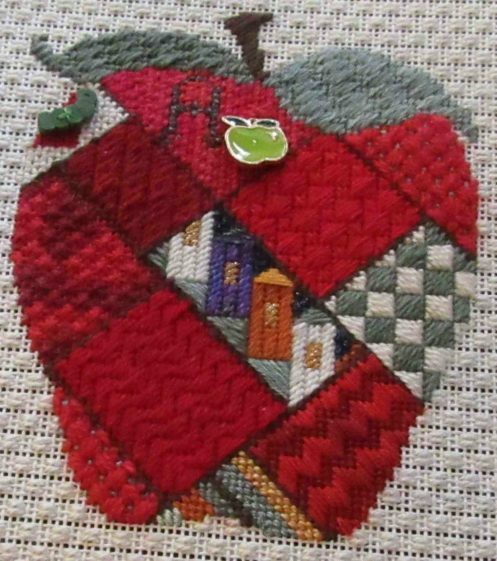 The Needlepoint Beginner’s Forum is designed to solve those problems while helping you create beautiful needlepoint and get you excited about and comfortable with stitching your own projects. You may have learned lots of stitches, but when do you use them? With our monthly beginner projects, you’ll find lots of ways to create great projects using these stitches. Plus, new this year, we’ll have a private, optional group, for sharing your projects and questions. We’ll also have fun group activities to share your stitching with others. The email lessons cover everything a beginning stitcher needs. Using my revolutionary build-a-stitch method for teaching stitches, you’ll start with what you know, Continental or Basketweave, and build on that to learn dozens of new stitches. You’ll be miles ahead of other beginners and you’ll feel confident to tackle painted canvas and charted needlepoint projects. In addition, these lessons cover threads, canvas, tools, and many other topics that will help you stitch beautifully from your very first project. You will also be able to ask questions and get them answered in bonus emails. Students will have the opportunity to buy Project Packs that will include canvas, threads, a needle, and printed instructions for selected projects. Also you’ll get great beginner’s projects that will have you trying out your new skills. These projects are designed specifically for beginners, and you’ll get plenty in the forum. Because painted canvases are so popular, three lab sessions will use currently available canvases to show you, step-by-step, the process to plan and stitch a canvas, including picking threads and stitches. Whether you choose to stitch the labs or not, you’ll get three complete stitch guides for these canvases. 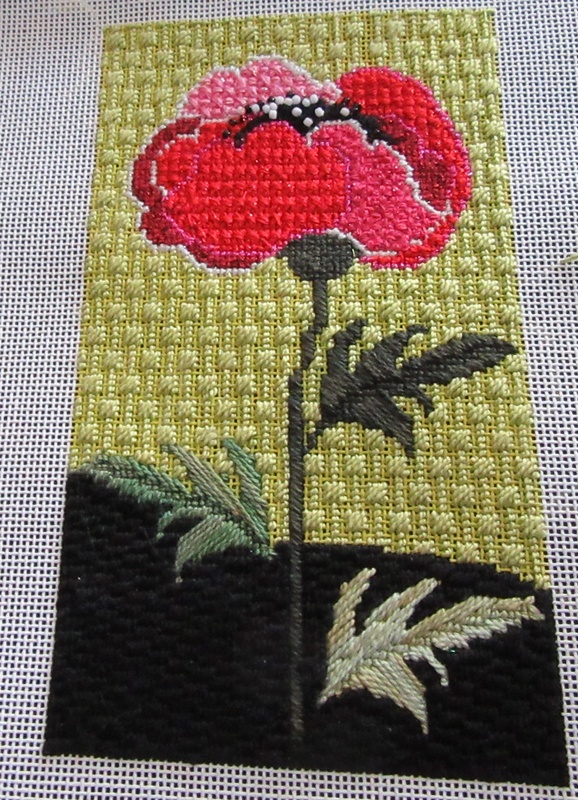 This is so much more than you will learn in any other beginning needlepoint class — often for a higher price. Whether you want to learn new stitches, explore the world of needlepoint, or gain confidence when stitching painted canvases — this is the prefect no=stress way to learn. Members of the Forum will also be able to get exclusive discounts on my projects and books for beginners. The labs, project instructions, and stitch guides are worth more than double the class price. It’s the perfect way for you or a friend to learn needlepoint. It’s accessible, affordable, and doesn’t require special software. fast connections, or in-person attendance. I make it easy and friendly to learn this art that is creative but so easy anyone can do it! Best of all, you’ll have a permanent record that you can use throughout your stitching life. The class begins March 1, 2018 and runs for six months. You’ll get a wealth of knowledge for only $39. To sign up, just use the button below to pay via PayPal. If you would like to take the class, but prefer not to use PayPal, please contact me at the address below for alternatives. If you took a previous forum and would like the additional projects and lab sessions, please contact me at that address for a special offer. Is it $39 a month or $39? $39 for the program, plus the cost of canvas and/or threads for the optional lab canvases. Is this still available and would I receive the previous postings that I missed? Yes you can still sign up. You will receive all the posts.